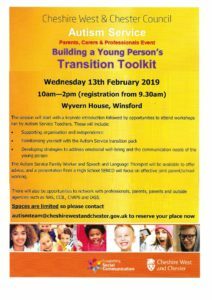 This is a free of charge opportunity to work with members of the Autism Service, to identify useful strategies and resources which are bespoke to each individual, to support a successful transition to high school. developing strategies to address emotional well-being and addressing the communication needs of the young person. The Autism Service Family Worker and Speech and Language Therapist will be available to offer advice and a presentation from a High School SENCO will focus on effective joint parent/school working. There will also be opportunities to network with professionals, parents and outside agencies such as NAS, ChAPS, CCIL and IASS. 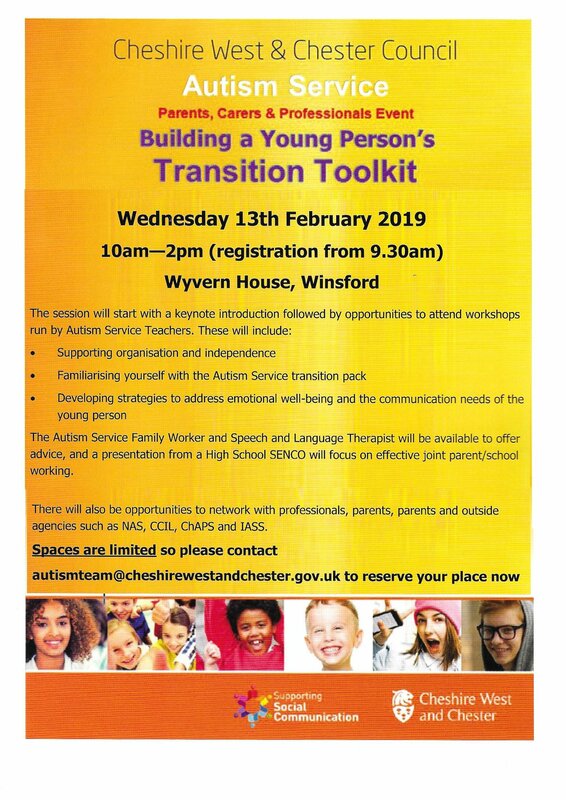 Spaces are limited so please contact autismteam@cheshirewestandchester.gov.uk to reserve your place now.